Pier 23, along with several other cafes along the Embarcadero, was originally founded as a coffee house for longshoremen, and has kept true to its history; the small shack-like building is a strange juxtaposition against the giant cruise ships that park next door. Out in front, tourists, locals and businesspeople pass by on foot, skateboards, bikes or in pedicabs, many of them dropping into Pier 23. 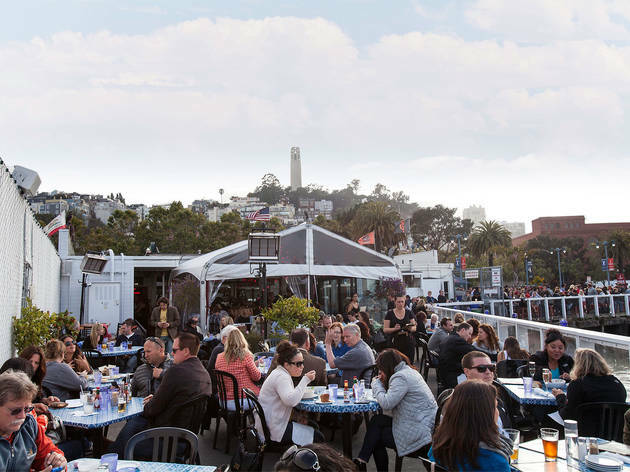 The beer garden is out back, facing the bay with a view of Treasure Island, and you can lean out over the edge and watch the boats go by—just hang on to your beer. The beer selection is fairly standard for northern California beers, with taps like Scrimshaw Pilsner, Lagunitas IPA and Speakeasy Big Daddy IPA. You won’t find much unusual, but you’re guaranteed to find something you like. 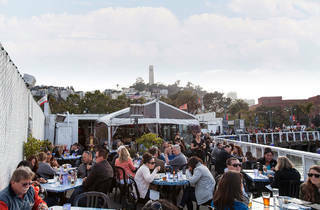 The food is pub fare but leans toward seafood, and inside you’ll find jazz, R&B, reggae and more, six nights a week.